Delivery to UK addresses will normally be despatched the next working day. We aim to hold sufficient stock to meet all orders, but we may be unable to ship your complete order from stock. If this is the case we will despatch all available items straight away, (we will contact you via email letting you know if any items are not in stock) and any out of stock items will be despatched within 3 days. If we cannot complete your order within 3 days your payment method will be reimbursed with the value of any items not shipped. You can order electronic components online, by email, phone, fax or post. For all UK orders there is free delivery. Delivery will be made via Royal Mail 2nd class post. If you require your order fast, during the checkout you can also upgrade your postage to 1st class or 1st class tracked. We welcome orders from outside the UK and these orders can be placed online, by email, phone, fax or post. The delivery charge for each county can vary but as standard it is currently £4.99, This will be updated on the checkout process at final confirmation of your order. Online orders can only be paid for by credit/debit card and PayPal. 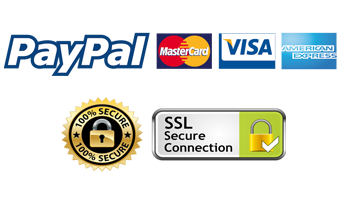 For ordering by other methods, we accept UK cheques, Direct Bank deposit, or BACS bank transfer. Goods will only be despatched once payment has cleared. Due to the sensitivity of these circuits and components (Due to damage incurred by incorrect wiring) we can only accept returns and issue a refund once our engineers have fully tested and confirm the component or circuit is fully working. We test each circuit before it leaves our factory, which it is then verified by a senior team member and signed off. Please make sure you read our website for product data sheets and wiring instructions before you connect your component or circuit. Unwanted Goods: Please contact us within 28 days of purchase to obtain a returns number, this must be clearly marked on any returns note. Goods must be returned to us at your own cost and in the same condition that they were received, including packaging, manuals and all accessories. Incorrect/missing/faulty: Should you need to contact us with regards to the contents of your order, whether you have missing, incorrect or faulty goods, please contact us using the below methods.